We are not just into cement manufacturing. We also cater to the agregates and sand demand and also PPL bags. Vicat in India with its 3 business verticals offers “Superior Quality” products to meet customer requirement with enhanced satisfaction. Bharathi Cement is present in 7 states of India. Other products like Aggregate are sold only in nearby markets of Bangalore, Karnataka. We also, manufacture and market Tamper Proof Laminated Bags. It is produced with the finest raw materials, using cutting-edge German Technology and packed in tamper-proof bags. 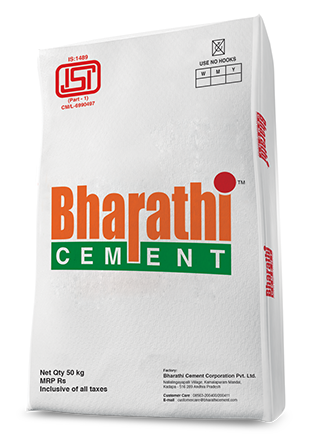 Bharathi Cement is a Premium product which assures “Superior Quality” cement to its customers. Bharathi Cement maintains and follows stringent internal quality norms which are above BIS norms and achieves better performance compared to competitors. Also, we enhance our product performance through continuous benchmarking with competitors and keep ourselves ahead of competition in terms of Quality and Delivery.